Paul Allen has pledged $30 million to help house homeless families in Seattle, as the city grapples with an ongoing crisis and debates how to pay for it. 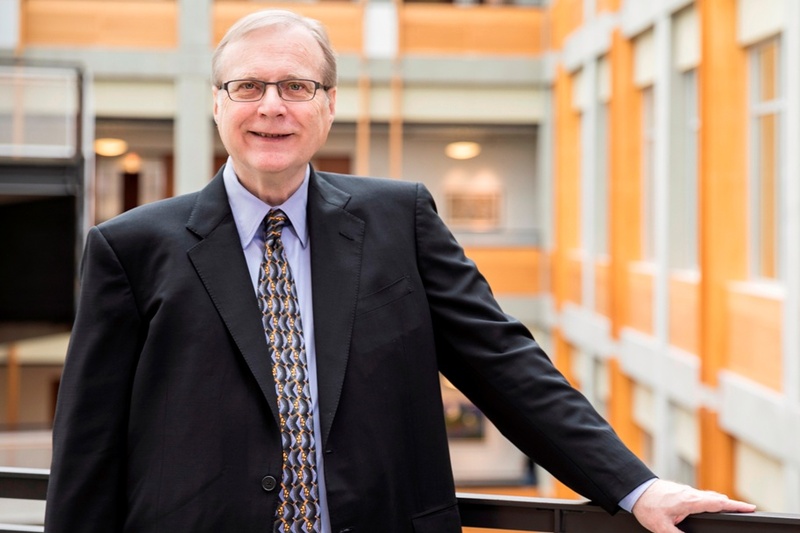 With an additional $5 million in capital from city coffers, the funding from the Paul G. Allen Family Foundation would enable nonprofit housing developer Mercy Housing Northwest to create “an innovative, permanent supportive housing and onsite services community that will serve as a resource hub for Seattle-area families with children who are experiencing homelessness,” according to an announcement Wednesday. The project would house “a few hundred” people provide services to potentially thousands more, says Paul Butler, program officer for homelessness at Allen’s philanthropy. The exact numbers will be determined by the land acquired for the development, which Butler says is intended to be in a Seattle location easily accessible by public transit. It’s Allen’s second major local philanthropic gift in as many months, following a $40 million endowment to the University of Washington’s computer science program, which was renamed in his honor. Allen has given more than $10 million to local housing nonprofits since 1999, Butler says. In the last year, Allen has increased his focus on homelessness, giving more than $2.7 million to organizations with a specific emphasis on youth homelessness. That stepped-up response came after Seattle Mayor Ed Murray and King County Executive Dow Constantine declared a homelessness “state of emergency” in late 2015. Beginning last summer, Butler says, the Allen philanthropy started researching the issue more deeply and began conversations with the city that resulted in the private-public partnership unveiled Wednesday. “I think that all of us have seen the crisis first hand with the tent cities in our community, and with the increased discourse around the issue,” Butler says. Murray positions the contribution from the Microsoft co-founder and Seattle real estate magnate as an example of the support he asked for from the business community earlier this year. While Butler says the $30 million funding was not a “direct response” to the mayor’s challenge, he says Allen is hopeful that others will see it as an example. Close to 3,500 Seattle Public School students experienced homelessness during the last school year, and some 1,684 families await housing in King County, according to the announcement from the mayor’s office. Butler notes that a point-in-time count found the 2016 unsheltered population increased 16 percent. A count taken this year is expected to show a further increase, he says. The announcement of Allen’s contribution on Wednesday comes as another major effort in Murray’s plan to address homelessness—a 24-hour shelter that’s meant to be easy to access and a first step toward additional services—faces a delay. The search for new funding sources to address the crisis has also unfolded in fits and starts. In February, Murray tapped Seattle entrepreneur and venture investor Nick Hanauer to lead an advisory group on a plan to double spending on homelessness. One element of that plan—a property tax increase Murray would have sent to voters in August—has since been dropped in favor of a proposed countywide sales tax increase. Meanwhile, Murray has drawn new challengers in his race for re-election, which has been marred by accusations of sexual abuse, which Murray has denied. One of Murray’s challengers, Mike McGinn—the former Seattle mayor who Murray defeated to win election—supported the idea of a city income tax as part of his campaign launch, and Murray was among those in favor of an income tax at a candidate’s forum. McGinn also supports raising taxes on large businesses in the city. The Seattle City Council appears to be on board, pushing for a vote as soon as this summer on a proposal that hews closely to that of a progressive coalition called “Trump Proof Seattle” for a 1.5 percent gross income tax for city residents earning more than $250,000 a year, raising as much as $125 million, as KING5 reports Wednesday. Why does all of this matter to the Seattle innovation community? Homelessness is an issue that is affecting everyone, and should be addressed by everyone. And there are more signs that the tech industry in Seattle is stepping up—the donation from Allen being the latest. Earlier this year, Amazon announced plans to partner with FareStart—a culinary job training program that has helped homeless people get back on their feet and into a new career—on a program to create five new eateries in Amazon buildings and help people learn additional skills to earn a higher income. Other efforts such as the UW’s Data Science for Social Good program and School of Social Work have sought to shed more light on homelessness, and devise innovative solutions. It’s not clear yet what will make the housing community funded with Allen’s contribution “innovative.” His other recent homelessness grants have supported things like a project to build modular housing for homeless adults and an app that helps connect people experiencing homelessness with donations and services. Meanwhile, a city income tax—which could pay for housing services among many other city priorities—could have an impact on Seattle tech companies’ ability to recruit new workers, some of whom are enticed away from states with income taxes by the lack of one in Washington state. That lack, however, contributes to an extremely regressive tax system, which places more burden on poorer people through sales and property taxes. A statewide income tax measure in 2010 was approved by Seattle residents, but lost in a landslide statewide. It was proposed by Bill Gates Sr., and supported by Microsoft co-founder Bill Gates, but divided the tech industry, drawing large contributions to the campaign opposing it from then Microsoft CEO Steve Ballmer, Amazon’s Jeff Bezos, and Paul Allen himself. A major caveat on a proposed Seattle income tax: It would need to overcome the state constitution’s requirement that property be taxed uniformly across the state. State legal precedent counts income as property. Proponents see it as a potential test case to challenge that precedent.